We are your complete up to date auto engine shop at engine balancing, we are equipped for modern engines, custom engine building, and machining. We also have stock and performance engine parts and kits. At Bradford’s Balance & Machine, we know engines. Since 1984, we have been providing the absolute best quality in custom high performance engine work. Our mechanics are experts in working with all types of performance vehicles, from hot rods to racecars and motorcycles. When you need custom engine work done, come to the most respected engine machine shop in Kalispell, Montana. For thirty years, Bradford’s Balance & Machine has been working with high performance engines and our mechanics are the best in the business. Though we’re not the only auto machine shop in Montana, we are the only one that offers a superior level of expertise in high performance engines. We provide customized engine construction, rebuilding and repair for all types of autos, including racecars, muscle cars, dragsters, hotrods, trucks, motorcycles and any type of diesel engine in Montana. Our experience and knowledge of these engines allows us to be both highly effective and efficient, meticulously rebuilding engines with a clear understanding of their inner workings. We are experts in custom engine repair, service and construction. 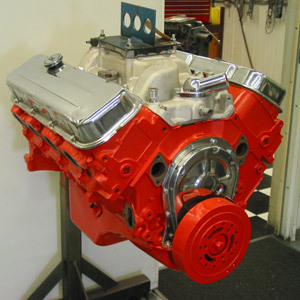 We are able to work on any type of engine, from hot rods to motorcycles. We bring decades of experience to the job. We are members of the AERA and NHRA. Whenever you need work done on a performance engine, there is no better name to call than Bradford’s Balance & Machine. We proudly service all of you auto machine shop, engine repair, engine rebuilds, custom engine work, Cummins diesel engine repair, and experts at custom performance engine construction and repairs in all of Montana, Flathead County, and cities such as Kalispell, Whitefish, Columbia Falls, Bigfork, Polsun, Ronan, Libby, Missoula, Butte, Anaconda, Bozeman, Belgrade, Livingston, Great Falls, Billings, Helena, Havre, Miles City, Canada, and anywhere else in the United States. Engine Machine Shop, Auto Machine Shop, Engine Repair, Engine Rebuild, Racing Engines, Custom Engines, Diesel Engine, Diesel Engine Repair, Performance Engines, Performance Engine and much more.